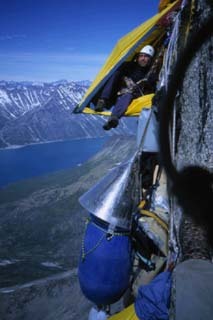 Matthias in Camp 2, 600 meters high on Ulamertorssuaq. Stoves for gasoline / gas. Food.